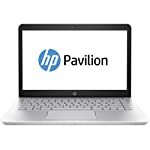 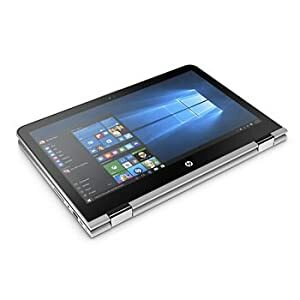 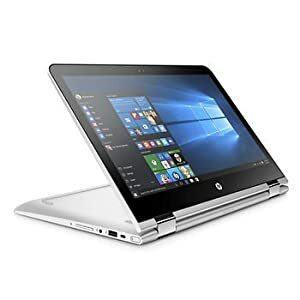 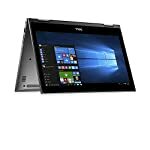 2018 Newest HP 13.3” HD Touchscreen Convertible 2 in 1 Laptop / Tablet, Intel Core i5-7200U, 8GB DDR4 Memory, 1TB Hard Drive, Windows 10 – Be Mobile with BMOB.com! The HP Convertible 2 in 1 Laptop with a 360° hinge gets you in the perfect position to work, watch, play and go. 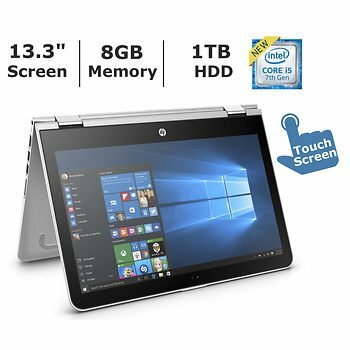 Seamlessly shift between four modes for an entertainment experience that gets you closer to your screen than ever before. 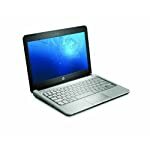 The laptop is thin and light and features a great battery life, so your laptop can go wherever you go. For a truly powerful audio experience, HP Audio Boost and audio tuning by B&O PLAY deliver rich, authentic sound.